"A large animal, perhaps two, attacked Blue Babe. But which animal?" 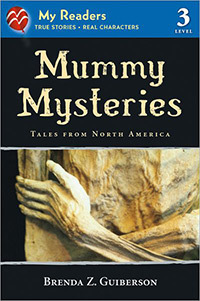 The three stories in this book contain fantastic facts that readers can use to solve mysteries from the past. Examine a 36,000 year-old bison from Alaska, the ruins of a deserted Anasazi city, and the grave of "the outlaw who wouldn't give up."